Yankee Alliance is a national group purchasing organization. Click here to view the PowerPoint presentation. Integro is a leading medical malpractice insurance broker in the United States. They ensure medical professionals regardless of practice size, and they are competitively priced. Their website is https://integrogroup.com/. 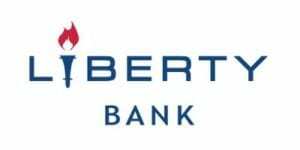 Liberty Bank, headquartered in Middletown, CT is proud to work with MPS to bring you a variety of business banking solutions. Lending Solutions include EMR Financing, Practice Financing, Real Estate Financing, Term Loans, and Lines of Credit. Money Management Solutions include PayBack Business Checking, Corporate Credit Cards, Cash Management Services, and Health Savings Accounts (HSA). For more information, please view the brochure. BioServ is proud to introduce ShredSmart, our secure on-site document destruction service. ShredSmart is comprehensive document security. ShredSmart services include document shredding and recycling, online staff training in secure document management, online HIPAA training, and compliance audits. For more information, visit https://www.bioservusa.com/services/shredding/. MIPSwizard provides one solution to help ensure eligible clinicians participating in MIPS have a successful reporting experience. MIPSwizard is brought to you from the leaders in PQRS reporting who brought you PQRSwizard, the #1 solution for quality reporting to CMS. Similar to online tax preparation software, MIPSwizard is a web-based tool to guide eligible clinicians through a few easy steps to help rapidly collect, validate, report, and submit the results to CMS. Information technology (IT) support is provided for MPS members by TechNet Solutions, LLC in Connecticut and Massachusetts. They offer a variety of IT solutions for healthcare practices, including network security, managed services, cloud-based technology solutions, risk and compliance consulting, and strategic counseling. For more information please visit www.technetnow.com. iHealthSpot provides digital marketing solutions including medical website design, social media management, reputation management, search engine marketing, patient portal, and secure bill payment applications. Their physician-developed patient education library has earned numerous industry awards. For special pricing, please contact them at ihealthspot.com.